For years the opposition has appealed to the sharp increase in crime and insecurity to argue that the Chávez and then Maduro governments are ineffective. Thus, it was not a surprise to see that citizen security is one of the seven areas that the opposition has promised to improve now that they have a majority in Venezuelan’s legislative body. In this post, I discuss the MUD’s recent citizen security proposals and compare them with recent policies enacted by the government. I ask how these proposals and policies differ, and point to a few commonalities between policies put forward by the opposition and the government. In Venezuela, control over citizen security largely falls to the executive branch, and in the National Assembly does not have a lot of power can do to impact these policies in the short term. However, with their new majority, the opposition can eventually draft and approve new laws; with a super majority, the MUD can also modify organic laws, like the one that created and regulates the National Police. Representatives can interrogate leaders of state institutions, vote for the removal of ministers from office (though this has been contested by the government), and appoint the Attorney General—who is currently aligned with Chavismo. The National Assembly can also demand a reduction or increase in the budgets of state institutions. So, what has the MUD proposed to do with this power? *The MUD wants to “cleanse and strengthen” all police forces and improve coordination between policing bodies. To do this, representatives have suggested The Law of Police Coordination. According to MUD representatives, this law will “strengthen municipal and state police forces” so that they can “coordinate” and “coexist” with National Police. This law will “ensure that municipal and state police forces are equipped with the resources and materials necessary to operate with full capabilities.” Shortly after the National Police was deployed, opposition leaders claimed that municipal and state police forces were not receiving necessary resources and equipment because these were being funneled to the National Police. The danger is that this law might attempt to prioritize municipal and state police forces, rather than improving coordination between all police forces. *MUD representatives have said they want to quadruple the budget of citizen security. According to Freddy Guevara, assembly representative from Miranda, the new National Assembly will not approve a national budget that does not allocate four times more than what is currently spent on citizen security. *The MUD has proposed requesting an accountability report from the Attorney General about “corruption cases that have not been investigated and later abandoned without establishing those responsible.” A report will also be requested from the Minister of Domestic Relations, Justice, and Peace, and heads of all security bodies about security plans and cases of repression and violations of human rights. *The MUD has also proposed a complete reform of the criminal justice system. In particular, the MUD wants to speed up judicial proceedings, which are notoriously slow. 70% of judges in the country hold provisional appointments leading to significant judicial paralysis (in addition to the oft noted politicization of the judiciary). Those charged with crimes can sit in jail for years before going to trial, leading prison overcrowding. Other detainees are released without ever going to trial. So, how different are these proposals in comparison to the government’s security plans? There is certainly disagreement. For example, the parties differ over how to best “coordinate” police bodies. The MUD has said returning to a decentralized system of citizen security is necessary “to avoid the ways in which…the Law of the National Police makes those police bodies closest to citizens inefficient and almost useless.” The Law of Police Coordination, for example, is likely intended to channel resources and support to municipal and state police forces, which the opposition believes have been shortchanged since the creation of the National Police. Conversely, police reformers aligned with the government have publicly criticized the decentralization of policing for years, saying that decentralization led to a deterioration of norms and standards and the unnecessary creation of new police forces. If the National Assembly follows through with judicial reform, it could break new ground on an issue has largely been ignored by the government. But they have yet to release their actual proposals. Nevertheless, the 2009 security reforms backed by Chávez also supported the cleaning out and strengthening of police forces, increased accountability, and increased funding. The lack of coordination between security bodies was an important critique made by the CONAREPOL, a study commissioned by the Chávez government that then provided the groundwork for the 2009 police reform. Two new institutions were created by this reform and charged with coordinating forces involved in policing—The General Police Council and the Integrated Police System (VISIPOL). This 2009 reform also sought to “cleanse and strengthen” police forces by eliminating the Metropolitan Police in Caracas—one of the most violent and corrupt forces in the country—and lengthening police officers’ training and education period and improving standards. The Chávez government supported laws that created new police oversight groups, both external and internal to the police, to improve accountability and reduce corruption and abuse. And The Citizen Police Oversight Committees created by the 2009 reform were intended to act as citizen-run accountability mechanisms over police bodies and security institutions. Lastly, the Chávez government increased spending on citizen security as well. New buildings for the Security University were erected; police pay was increased (though never enough to mitigate the impacts of devaluation and inflation); and new education materials were published and distributed. The government’s reforms have been implemented inconsistently and haphazardly, and much more work, support, and oversight is needed to get them off the ground. Remilitarization has rolled back many of these reforms. The standards and regulations created by the 2009 reforms were implemented weakly—if at all—at the municipal and state level. The Citizen Police Oversight Committees need more support, from leaders like National Assembly representatives, if their oversight is to carry any weight. And investment in police officers’ salaries and basic equipment for all police forces—even the National Police—is still lacking. Of course, working through the institutions and bodies created by the Chávez government—like the National Security University and the General Police Council—will require cooperation and respect from both sides. 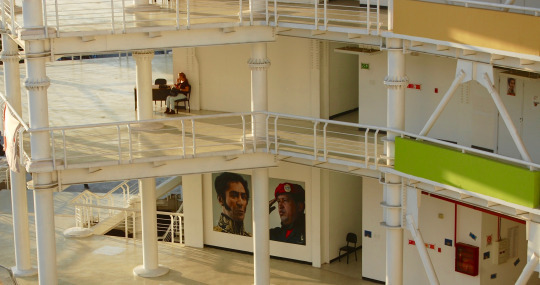 These institutions are largely staffed and headed by loyal Chavistas and images of Chávez and other socialist leaders adorn the halls, offices, and classrooms of the University. While conducting research inside these institutions, I learned that many professors at the Security University and employees of the General Police Council see 21st Century Socialism and Chavismo as integral to their work and security reform; these beliefs are intertwined with their passion to improve security in the country. Anticipating resistance from loyal Chavistas, one MUD representative I interviewed in 2013 told me that rather than working through bodies created by the 2009 reform, the opposition would slash their budgets, effectively disabling them. The MUD-dominated National Assembly could certainly use their new legislative majority to challenge the government on security. Extremely polarized political climates, like the one in Venezuela, provide incentives for parties to juxtapose their proposals to those of the opposing party. And dominating the National Assembly provides the opposition with an opportunity to show that their own proposals are better for the country. But taking a combative approach to this issue could be risky to me for two reasons. First, it seems unlikely that withdrawing resources from security institutions for political reasons would be a popular move with anyone except extreme government opponents. Secondly, viewing security as an issue of municipal and state police forces versus the National Police will inhibit the sharing of resources and information that will be necessary to foster coordination. Finally, as Venezuela is about to enter an even worse economic crisis than in previous years, this sharing and interdependence will become even more important. Indeed, while it makes sense for MUD representatives to call for increased spending on citizen security, it is unclear how the government will be able to even maintain what it currently has budgeted for security. Rather than forgo the groundwork these reforms have laid, the MUD should seize the opportunity to improve and strengthen plans that had a great deal of momentum behind them until Chávez died in 2013. Indeed, rather than attempting to distinguish themselves from Chavismo to prove a political point, opposition leaders have a chance to show that they can work with the Chavista government to combat an issue that has been consistently hamstrung by politics. Economic and political issues will undoubtedly take precedence in the upcoming year. However, citizen security, I would argue, is one area in which the platforms and policies of the opposition and Chavismo already show common ground. In contrast to economic issues, citizen security could provide a much-needed point of convergence for both sides, allowing them to cooperate on an issue that has long been exacerbated by polarization. In my next post, I will look at the militarization of policing in Venezuela, which President Maduro has heavily supported, and what opposition leaders have said on the subject.